Loved the heck out of this one! I’ll admit though, I was pretty hesitant at first to be reading a memoir from a man about his coming of age, especially taking into account the day I started reading most of it, for it was on a day, where repeated again yet so sadly decades apart, we bore witness once again to the evisceration of a woman brave enough to come forward against one more man desperate to retain power and was backed by all those other old white men desperate to cling to their entitlement. (sorry rant over) So was I going to care about Kelly’s stories? Were they going to be something that had me rolling my eyes into the deep recesses of my brain? But…this was a memoir about a boy coming of age in the ’70s and ’80s. Those were my times too and I really wanted to read this one because of that. But no eye rolling here because Kelly sure did put a smile on my face! That smile was planted on my face for most of the entire time spent reading Boy Wonders. I laughed so hard so many times! Kelly writes with such humour and ease, I was marking many, many pages so delightfully and finely told. And the chapter, Hair, is one definitely not to be missed! I probably looked ridiculous sitting outside on my break at work laughing and giggling. 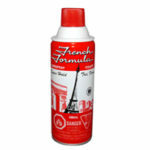 Remember French Formula hairspray? His story of it is hysterical. but not all of Kelly’s stories are filled with fun and games – he does talk about his fractured and fraught relationship with his father and how his parents divorce when he was quite young affected him. About his father he realized when he was eleven years old that, “something wasn’t quite right with him” (that’s grossly paraphrased). He continues to talk about his love of reading in the chapter titled, Lord of the Rings. His aunt gave him a copy and after starting and putting it aside so many times, he finally got it (and this is what my son has been trying so often to get me to do – read Lord of the Rings and love it the way he (and Kelly) does. ;-)) saying, “It wasn’t the story that got to me. It was its detail…He wasn’t pulling you through it. He was planting you in the middle of it and pointing out every single thing. Tolkien taught me that we are not trapped in this world. We can construct our own. You felt his guiding hand in it. I did however feel he ended his story quite abruptly. We hear throughout these brief snippets of his forty-year-old self, but not enough detail on how his coming of age led him down the path to where he is at now. I wanted more details on what he does now for a living and how his childhood may have led him there. Yes, at the back on the author profile it says he’s a sports columnist for The Globe and Mail, but there wasn’t much sharing of that journey towards the end of the book – perhaps he wanted to keep it framed in his childhood, but I would have liked to have read more of it impacted and shaped his adulthood. I do hope Kelly ventures into writing fiction one day though. He has such a great flow and ease to his writing – comedic for sure – but there were also many wonderfully written and poignant moments that have me wishing for a work of fiction from him. 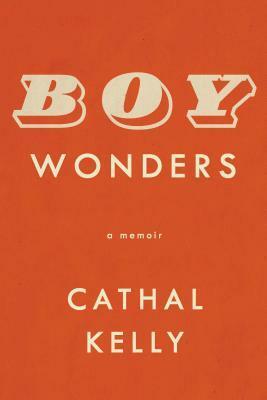 Boy Wonders was the right book to read at this time for me, I thoroughly enjoyed it and again, it brought many smiles to my face! This does sound like fun. And I, too, love memoirs that spend time on books and reading of course. That philosophy of Eco’s is great and it’s interesting that an intellectual figure sneaks into a book with a cover like this one! 🙂 It would be disappointing to feel as though the book just ends; I’ve noticed that, on occasion, with memoirs too. Maybe people get rushed a little, when they’re going through the publication process, and they literally do not have the years they would need to thoughtfully reflect on their more recent experiences? Or maybe other friends and family are still entangled in the story and there are matters which cannot be discussed! The book covers of the books I’m reading right now are pretty darn bland aren’t they? Of the three, including this one, they are all solid coloured backgrounds with text only. Snooze! Oh well – what’s been in between the covers have been very enjoyable! Kelly really has many wonderfully written moments about the love of reading and what it has meant to him – the whole chapter on Lord of the Rings contained beautiful thoughts about reading. His writing is quite eloquent and enjoyable throughout – not just the funny parts! 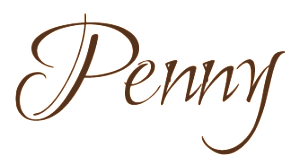 It’s a quick read too – I hope you get a chance to read it!